Ever feel like client work just drains you? You’re tired of clients who never provide files, feedback or payment on time. You feel obliged to answer your clients incessant emails on weekends and evenings. You wish all your clients were total dreamboats who respected your boundaries and valued your service. But sometimes, it feels like you jumped from a soul-sucking day job to a soul-sucking business. Sometimes, you crave the security of a regular 9-5 job. At least then, you could leave all the payment-chasing and following up to someone else and just collect your pay slip at the end of each month! Relate to any of that? I used to struggle with it too - but over the last few years I’ve figured something out. Our clients take over our lives, make unreasonable requests and make us feel like crap sometimes because we let them and we train them that it’s OK to do that. Once I realized this, I was able to make changes to my client process that totally transformed the relationship I had with my clients, increased my income and changed how I felt about my business. I went from resenting my clients to loving client work. And I want to help you do the same! That’s why next week on Wednesday January 23rd, at 2 PM EST / 11 AM PT, I’m hosting a free live workshop to show you how! At this free workshop, I’m sharing how to create a welcome packet in 30 minutes. 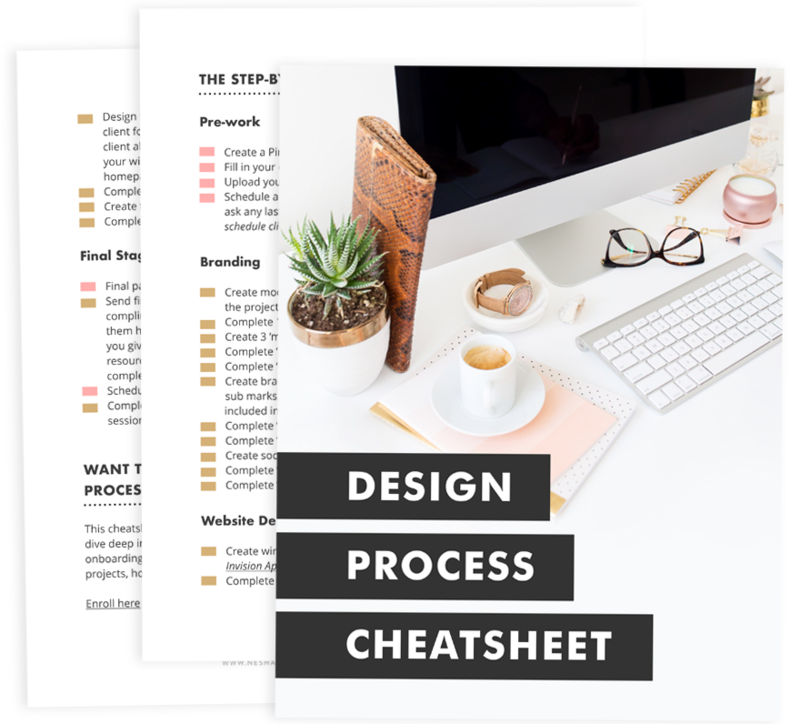 Creating a welcome packet is the first and easiest fix to transform your client process from stressful to smooth. 10 vital things your welcome packet must include. When to send your welcome packet to your clients and why most designers send it in the wrong format. One welcome packet tweak that’ll get your clients to hand in files and feedback on time - always! 3 examples of welcome pages and packets. PLUS there'll be a Q&A session where you can get alllll your questions answered.